Vote for Hilla Kelmann, Miss Israel 1985 so she could win the ultimate Queen of the Kingdom of Israel on March 8th's Miss Israel 60th Anniversary, her name is the sixth name from the top count and the 6th name is hers on the list, Vote for Hilla Kelmann now. 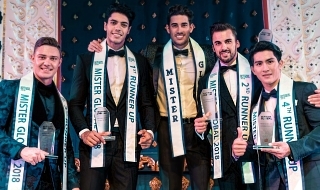 Ahmed Laith who organized an unofficial Miss Baghdad contest last year and then later on renamed it to Miss Iraq is being helped by a pageant scammer online from Pakistan who is known as Syed Kemal, they claim that this pageant is registered under the Ministry of Culture under the Number 301-THA which does not exist. They then claimed that there is an Inanna group which owns it , again no such company exists within the records of the Chamber of Commerce. They then claimed its a Miss Iraq Organization, which again does not exist. The Real pageant is called Beauty Queen of the year which was known to be Miss Iraq, the organizers of this pageant which goes way back to December 1947 has a 68 year old history, please verify your information. Here are the links to this so called Miss Iraq version organized by two vandals, a guy named Ahmed Laith Salman and a pageant fanatic from Pakistan who lives in New York, he designed all these logos and scammed Miss Kurdistan 2012, Shene Aziz into crowning herself as Miss World Kurdistan hoping she would enter Miss World. on her web page she claims to be Miss Iraq 2012. You will see how some employee of Talat Model management sent Ahmed Laith a copy of their 2009 Miss World license which he started then promoting as his, portraying to Al mada that he owns a Miss World license for 2015, probably changing the year using photoshop. This real Miss Iraq aka BEAUTY QUEEN has nothing to do with this Fraudulent contest organized by Ahmed Laith and Al mada, they are asking an Iraqi fashion designer named Sinan Kamal to be a spokesperson when he is not an employee of Al mada nor does Inanna Group, Magazine or the Miss Iraq Organization exist. Rania Kadret, owner of the latest incarnation of the Iraqi beauty pageant, writes a detailed history for Nina, inviting us all to understand the importance of showcasing this aspect of Iraqi heritage. Iraq's newly crowned beauty queen has gone into hiding, fearing she will be targeted by Islamic militants who reportedly threatened to kill other women who participated in a Baghdad pageant last week. 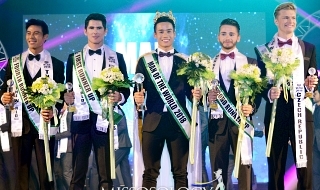 two young men, Mr. Ahmed Laith Salman Ghaffouri from Iraq and Syed Kemal from Pakistan who resides in the United States have been setting up a Miss Iraq contest. Mr. Laith organized a Miss Baghdad beauty contest last year, held in the Iraqi Hunting Club, which was covered as a news piece by the Sharqiya channel. A pageant stalker and con artist who is falsely recruiting girls pretending he is affiliated with Miss World, has been harassing many of our girls trying to recruit them into appointing themselves as MISS WORLD- IRAQ, MISS WORLD-KURDISTAN, etc. We have notified the Miss Kurdistan organizers of this person. This individual named Mr Syed Kamal from Pakistan, who seems to reside in the United States and seems obsessed with Miss World ,has been contacting model agencies, local authorities urging them into appointing girls to compete for Miss World. He has been extorting hundreds of US$ dollars for this cause, by providing online training as to how to conquer or win the Miss World title, he convinced Miss Kurdistan 2012, Shene Ako Aziz who won the first Miss Kurdistan title into crowning herself as Miss World Kurdistan 2014/2015, she went on to purchase a crown and sash through Mr.Kamal and has been trying to enter as a delegate into the MW system. please pay attention to Mr. Syed Kamal who is using the name MISSWORLDFANATIC and has entered as a female but in fact he is a male from Pakistan. It has come to our attention that he is in touch with girls from Jordan, the Palestinian Territories and Armenia ( sample of a letter which you might receive from the local municipality in Yerevan) is attached herewith. 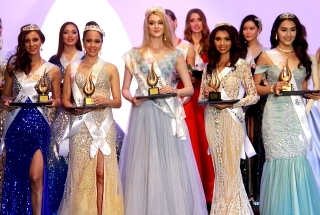 Miss World Kurdistan, Preliminary for Miss World. This dubious Miss World Iran site is promoting a false message, propagating that Iran sent a delegate in the past to Miss World. Syed Kemal has been harassing girls and tricked Miss Kurdistan 2012 into crowning herself as Miss Kurdistan, he runs the Al Mada, Ahmed Laith contest called Miss Iraq org on twitter, because Ahmed Laith does not speak English, Ahmed Laith was in touch with the original owners of the Miss Iraq contest who operate in Europe, (Germany) not Chile, managed to get an employee to send him a copy of the 2009 Miss World license, and then they had it translated and posted the rules and regulations as official qualifications for the contest. Syed Kemal designed all logos for this fraud contest.